If you’re looking for a good way to spend an evening, inviting your friends over for a dinner party is a casual way to spend some time with friends in your apartment. You don’t need very much to make it a successful night, but we know that it can be a stressful time. In this week’s blog, we’ve got a few tips for you to help you have a great night. If you’re struggling to know how to cater to the friends you’ve invited, it’s a good idea to have a theme. A theme guides the dishes you make or the dishes you assign for your friends to bring. These themes can be as simple as “Italian food” or as elaborate as “Murder Mystery Night”, but regardless of what you pick, communicate it to your guests so they’re prepared for whatever you have planned. Since it’s October, a great theme you can pick is Halloween! Communication is key to a successful night. Letting your guests know of the key details related to your dinner party will help them have a more enjoyable night, as they won’t worry about being confused about the time, place, or theme. Consider using Google Sheets or even a Facebook event to communicate efficiently. Feeding a large quantity of people has its own stresses. Even if you’re okay with feeding everyone, ask for help. Invite close friends over a few hours prior to the party time and ask them to aid you in making the food. Paying for everyone’s food can be a financial drain on you, especially if you’re inviting a large group over. In this case, you can invite people over and invite them to bring a dish that can be shared with the group. Potlucks allow your guests to contribute and ease the burden of buying food. What are your best party planning and throwing tips? 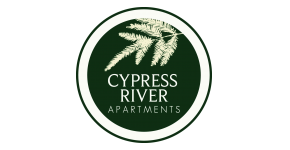 Let the rest of the apartment community at Cypress River in Ladson, SC know in the comments! Thanks for reading.